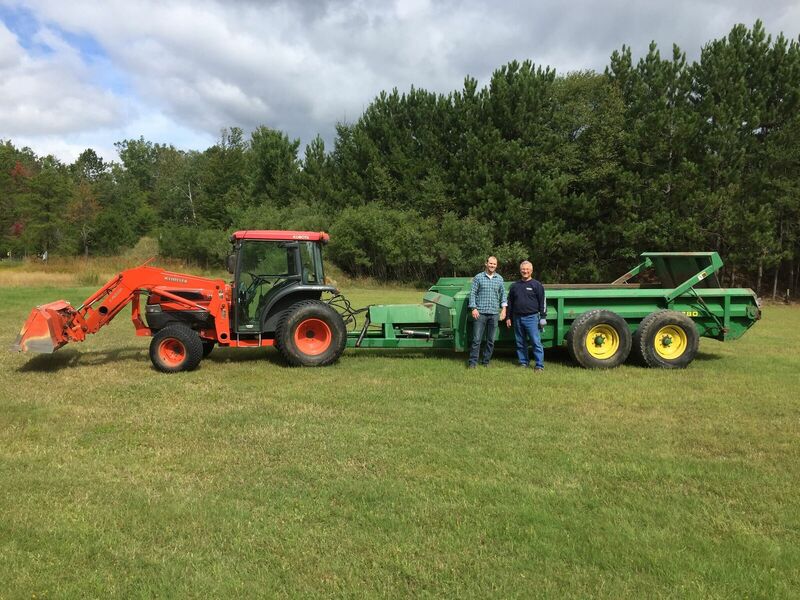 Cross Country Ski Headquarters is ready for fun this winter, with events like Pure Michigan Winter Trails Day, Ski the Beer Trail, and Ribs & Blues… plus a giant “Snow Spreader” for better skiing conditions all winter long! 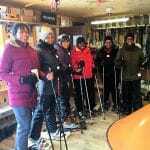 Higgins Lake, MI, September 19, 2017– The excitement of winter is back at Cross Country Ski Headquarters (XC Ski HQ) this year, with lots of events aimed at getting people out on the snow and having fun. These events, plus a big addition to snow making department, mean that there is a lot in store for another terrific winter at XC Ski HQ! 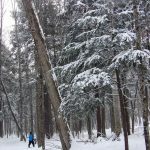 Entering its 21st year, Cross Country Ski Headquarters and the Great Lakes Winter Trails Council present the “Pure Michigan” Winter Trails Day on Saturday, January 6th, 2018. 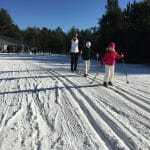 Adults and children receive a free Facilities Pass and cross country ski or snowshoe lesson, plus a complimentary hot cocoa and hot dog cookout on the ski trails! Equipment rentals are available for a special reduced rate. 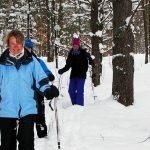 Bring your friends and family, and discover how fun winter in Northern Michigan can be. 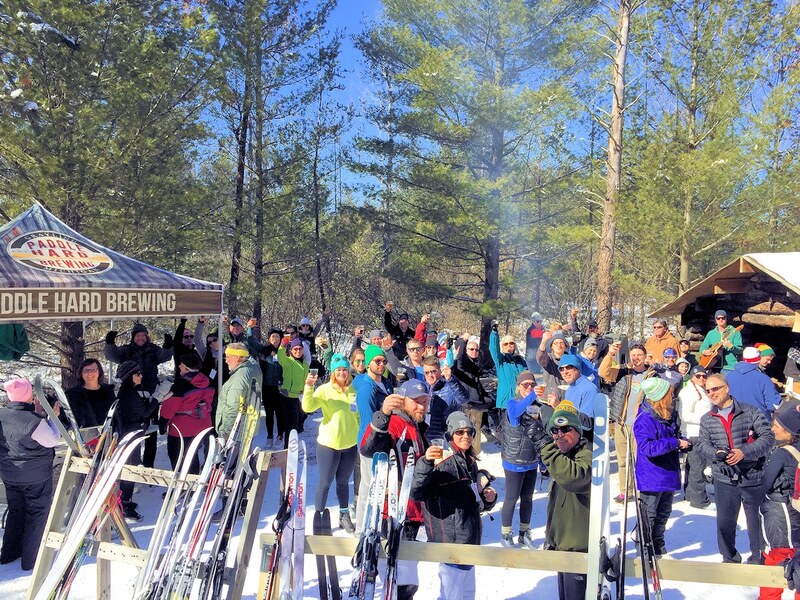 An annual event that draws skiers and beer enthusiasts from all over the state, Ski the Beer Trail will take place on Saturday, February 3rd on the XC Ski HQ ski trails. Tasting stations at Trapper’s Cabin will offer craft beer tastings to skiers and snow-shoers, and grill chef German Dave will prepare a hearty barbeque lunch around the bonfire. The addition of live music makes this a day on the trails that you don’t want to miss! Foodies can rejoice in the multitude of fantastic food events on the calendar this year, including the return of Ribs & Blues on March 3rd! 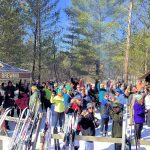 Also join us for Paella Sundays on January 21st and February 11th, Spring Ski Fest & Hawaiian Barbeque on March 10th, and the all-new Taste of Gates, featuring cuisine from the renowned Gates AuSable Lodge, on February 24th. Every weekend brings a new food special to XC Ski HQ, including Get your Fill at the Grill, Fire-Grilled Pizzas, Gourmet Mac ‘n Cheese, and more. Want to try yoga, skiing, or both? Mark your calendar for Stretch & Slide: A Yoga-Ski Retreat on January 20th and February 17th. 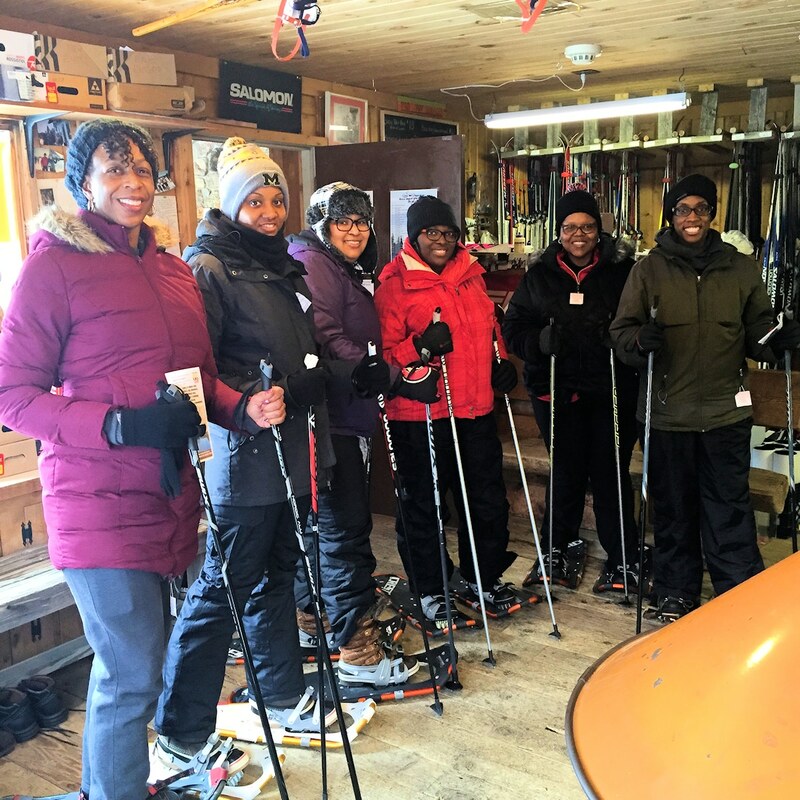 This unique combo event features a gentle yoga class, a group ski lesson, plus equipment rentals and lunch for a discounted rate. It’s a wonderful way to spend a winter day! Novices to yoga and skiing are welcome. Full Moon Night Skiing takes place on January 5th, January 26th, and February 16th from 6:00pm – 8:00pm. Skiers and snow-shoers can enjoy the magic of winter at nighttime, with torch lit trails, a bonfire, and free hot cocoa. Last but not least, the Elves at Cross Country Ski Headquarters have been working all summer long to make it even easier for XC Skiers and all lovers of winter to outfit themselves from afar. The online store at www.CrossCountrySki.com now has a huge variety of XC Ski Packages, winter clothing and gear. Ordering is fast and easy and satisfaction is guaranteed! 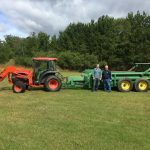 Check out the new snow spreader this winter, and don’t miss the many other events at XC Ski HQ, including free ski lessons every Saturday, Silver Streak Week, and more. Winter fun begins at XC Ski HQ! If you would like more information, please contact Mariah Frye Colie at 800-832-2663 or email at info@crosscountryski.com.